Many of these megalithic sites are aligned with specific star grids. Sirius, Orion and the Pleiades were often used by the priest scientists of previous cycles for their trigonometric calculations. (Cited from Key 215 and verse 215:53 of The Keys of Enoch ®). In the early 1930s a French scientist, Marcel Griaule , was asked by the French government to lead a research expedition into uncharted regions of West Africa. During this two-year voyage, he came into contact with the Dogon, and developed a fascination that would last a lifetime. He led a total of 36 expeditions before his untimely death in 1956. Why this fascination? In the introduction to his 1938 study on the Dogon – Dieu d’Eau (Gods of Water), he observed; “there is a mental universe in the so-called primitive, an advanced civilization in a black head … a true culture, with learned thought, philosophy and even a cosmogony as complex as that of Hesiod” . 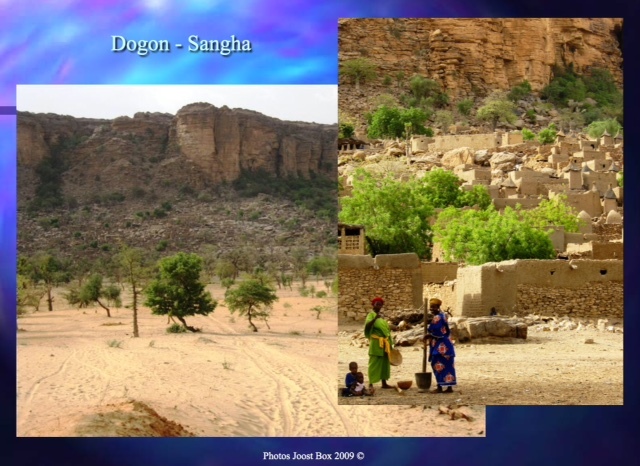 According to modern criteria for “development,” the Dogon would have ranked at the bottom of all scales in terms of literacy, education and economic status. Yet the harmonious community organization, the beauty of their architecture and art, and their elaborate cosmology are so impressive, that their “failure” to meet these modern standards may give us reason to reflect on our concepts of human development.